Fidelity International, the investments solutions group with more than 2 million clients across four continents, relies heavily on technology to keep their business going. Of Fidelity’s 7,500 employees worldwide, around 45% are IT and digital professionals – many of whom started their careers as apprentices and are now doing extremely well as fully fledged employees of the company. Apprenticeships are work-based training, meaning apprentices carry out a full-time job while learning the associated skills through formal study as well as on-the-job experience. Employers whose payroll is over £3 million pay a levy of 0.5% of their total payroll, which is ring-fenced for spending on skills development through apprenticeships. For businesses like Fidelity, who have long understood the value of hiring and developing apprentices into loyal and highly skilled employees, the levy provides an opportunity to make apprenticeships the norm. Fidelity understands that the skills development opportunities offered by apprenticeships aren’t just about gaining a qualification, but about setting individuals on a long-term career path, allowing them to grow and develop within the business. 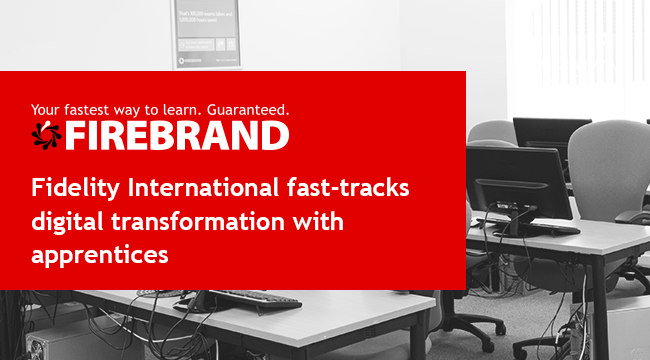 To support this vision, they needed a digital provider whose range of training and qualifications could match a huge variety of business needs without wasting time – so who better than Firebrand? Firebrand began delivering apprenticeships for Fidelity in October 2017, supporting five apprentices studying for network engineering, software development and digital marketing qualifications. 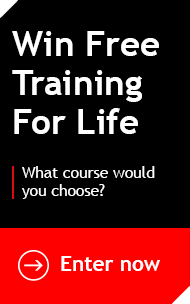 Six months into their qualifications, all of them are confident they made a good choice. As full-time employees, apprentices have the chance to work on business-critical projects that allow them to learn a host of skills alongside their formal studies. Fidelity’s current digital transformation activity has provided a host of opportunities for apprentices to learn and develop. Fidelity is currently planning its new digital apprentice intake, working with Firebrand’s Enrolment Team to identify the job roles they want to fill and the apprenticeship standards that fit each job’s requirements most closely. Firebrand’s Sales and Enrolment teams have also been supporting Fidelity’s Early Careers Team at their Insight Days alongside recruitment partner Pathway CTM, providing an overview of apprenticeship programmes and how Firebrand delivers training as well as answering questions from prospective candidates. So for people considering starting their careers in the IT/digital industry, what sets Fidelity apart from other employers?